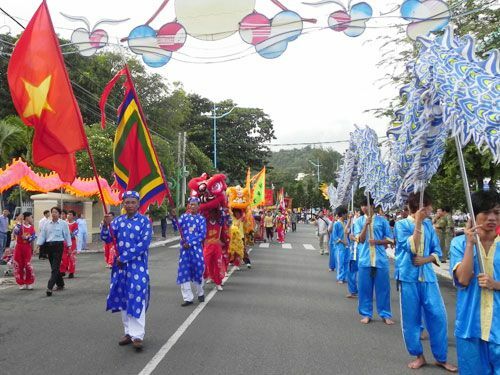 Nghinh Ong Festival is a traditional folk festival held annually as a worshiping whale associated with the custom of worshiping the fish he popular from the Ngang Pass back to Ha Tien, Phu Quoc island district with the meaning of demand for the sea. 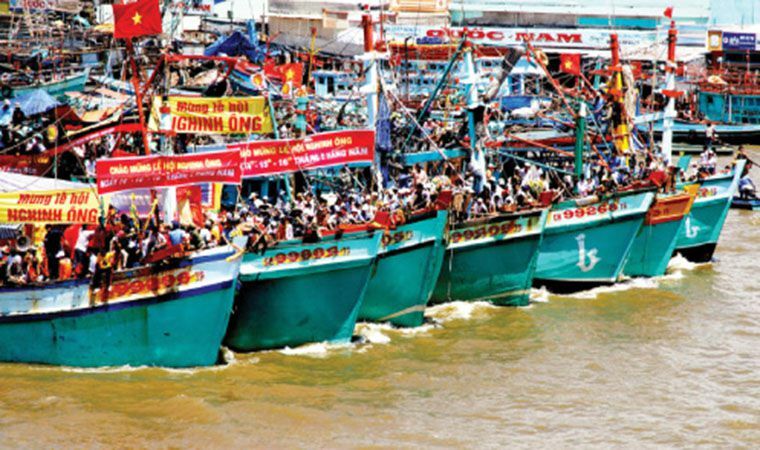 The weather is good, the fishermen are lucky and have a happy life. The festival attracts crowds of people and tourists to travel to Phu Quoc Island to participate in and discover the festival. He also has many different names such as his procession, , the ceremony "Mr.", the ceremony "Mr.", Mr. Thuy Prime Minister. Festival: Ordinary ceremony and festival. Assembly: The meeting includes the procession procession to the sea with hundreds of small and large boats decorated with beautiful flowers and ritual ceremony ceremony.